"A super-fast way to easily order the best food "
Rating: The TOP 5 Most popular Apps in Zomato category. 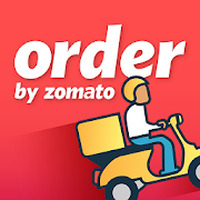 Food Ordering & Delivery App is related to Android apps, Lifestyle, Travel. Developer: Zomato	- Credible developer. Do you like Food Ordering & Delivery App?